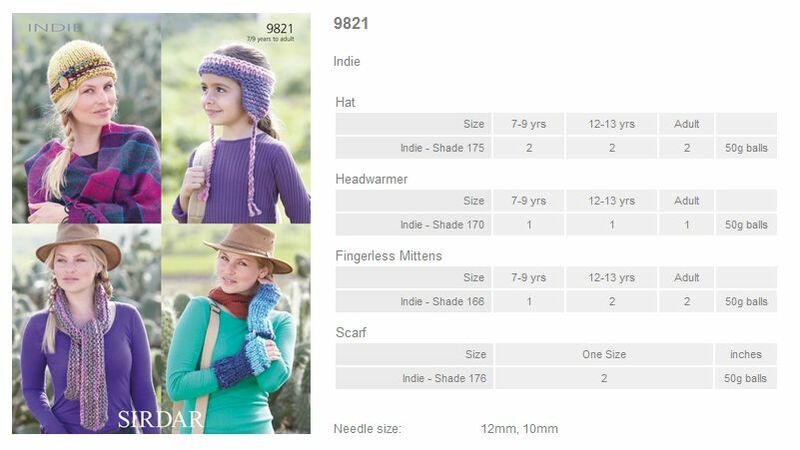 9821 - Hat, Headwarmer, Fingerless Mittens and Scarf using Indie Leaflet with designs for a Hat, Headwarmer, Fingerless Mittens and Scarf using Sirdar Indie. 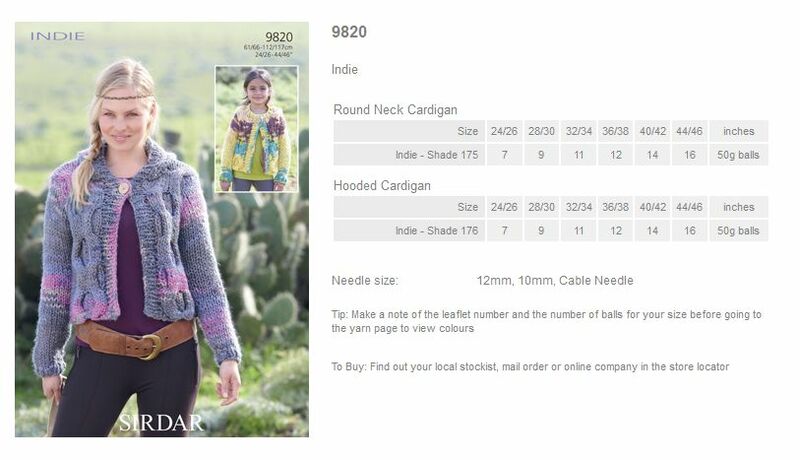 9820 - Round Neck Cardigan and Hooded Cardigan using Indie Leaflet with designs for a Round Neck Cardigan and Hooded Cardigan using Sirdar Indie. 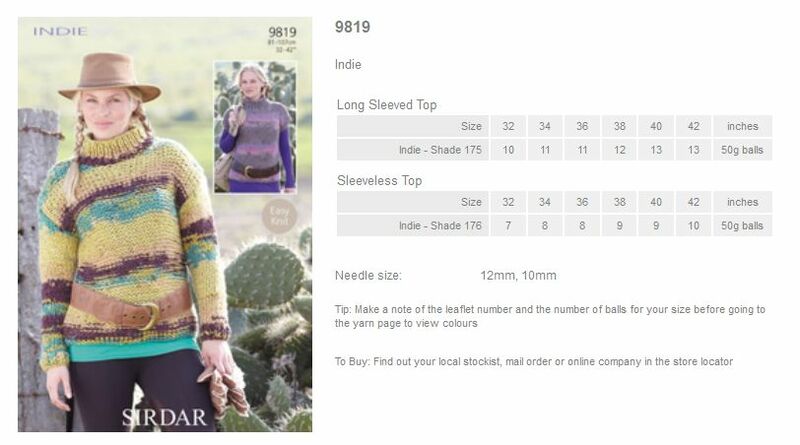 9819 - Long Sleeved Top and Sleeveless Top using Indie Leaflet with designs for a Long Sleeved Top and Sleeveless Top using Sirdar Indie.